Teachers quickly learn that telling doesn’t automatically lead to doing. It’s not usually enough to say to a child, “You have 10 minutes to finish this.” Young students know (1) that time exists and (2) it moves forward; however, managing a task within a timespan is an unclear notion for many youths. They haven’t lived through enough events to accurately gauge the passing of time. 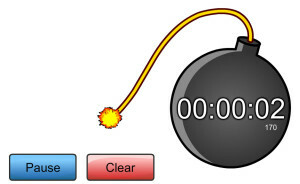 So, visual aids work well to strengthen comprehension – and that’s the benefit of Online Stopwatch. 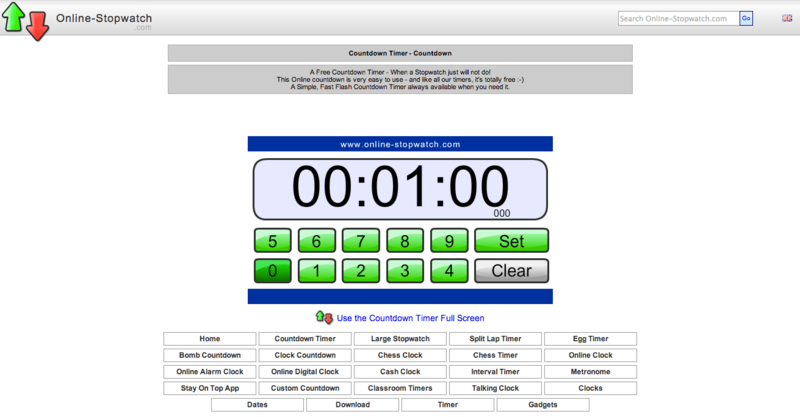 It’s a free site with various types of countdown timers. Since young children haven’t yet mastered the concept (or the language) of time, I often rely on the hourglass timer as it visually shows how much sand is left. Like pixelated sands through the computer-generated hourglass… so are the days of our lives. 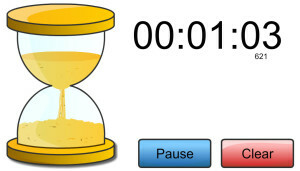 The site also features a metronome, a chess clock, an interval timer and others. Online Stopwatch. More tick, less talk. Message Peter on Twitter: @MrPeterCullen. 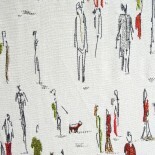 This entry was posted on January 23, 2014 by theguestroom in Uncategorized.